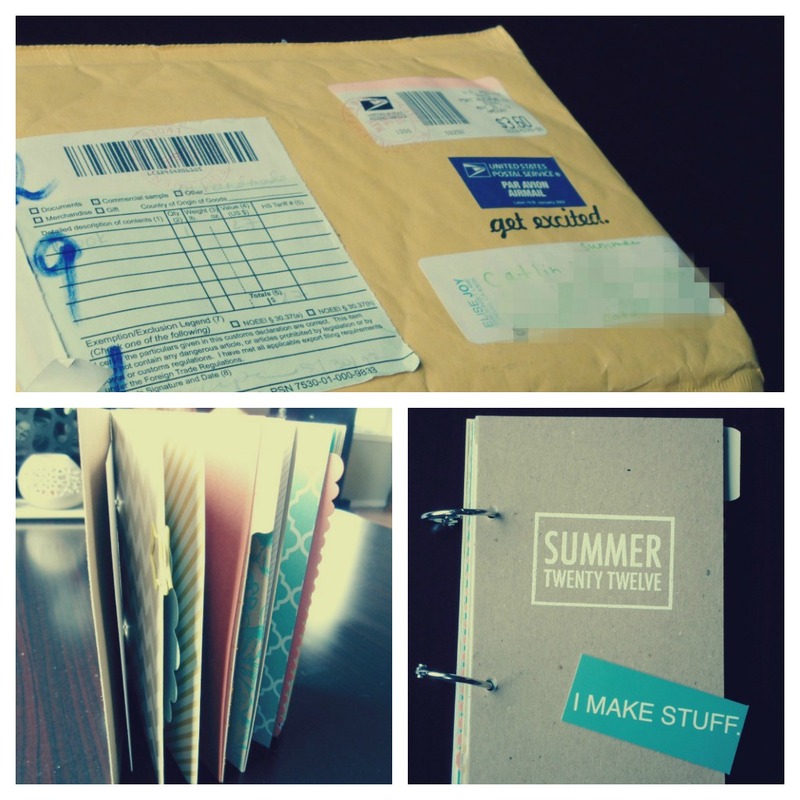 My summer twenty twelve mini-book finally arrived in the mail! Everything about this book is cute, including the packaging it came in. A smile came across my face when the post office employee placed the package in my hand. I walked out the door and noticed the words 'get excited' stamped on the front of the package. Get excited... GET EXCITED? Are you kidding me? I'm ECSTATIC! This is my first mini-book project (can't you tell, by how goofily pumped I am?). This is about a whole new form of memory keeping for me. Gone are my days of 12x12 scrapbook layouts. TOO MUCH WORK! I'm not dismissing the idea of ever scrapbooking again. No. That is certainly not the case. But by becoming a follower of a handful of different blogs (all written by incredibly talented memory keepers - Elise, Ali, Kelly, and Becky to name the few that I'm following right now), my eyes have been opened to the endless formats in which memories can be collected. I really don't need to wait for a big vacation, or a big life event to scrapbook. What I've learned over the past few weeks, is that you can collect memories (and craft the heck out of them) on a day-to-day basis. I've also learned that sometimes daily life is the most exciting thing to watch unfold.